The summer season is, of course, one of the most popular time for weddings! 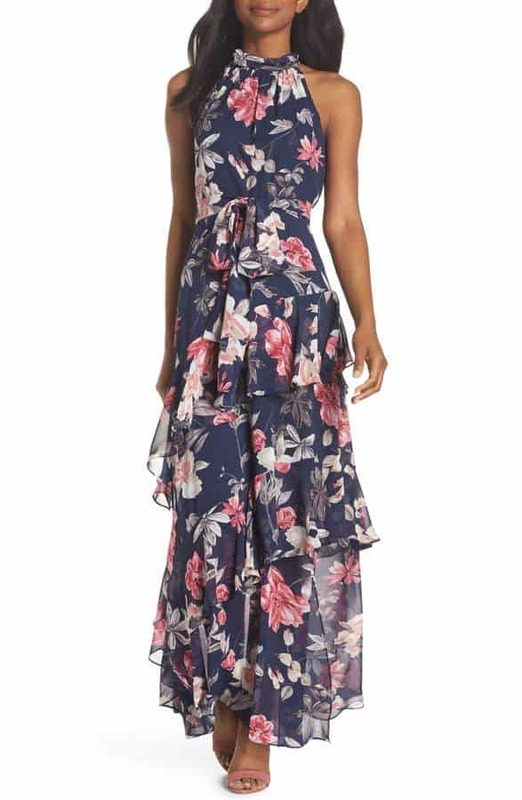 Finding summer wedding guest dresses that keep the wearer comfortable, stylish, and wedding-appropriate through outdoor ceremonies can sometimes be a difficult task. 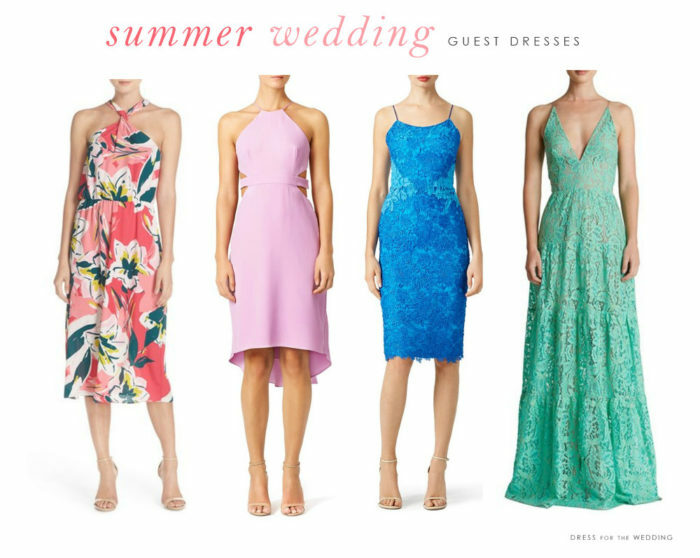 This shopping guide of dresses for summer weddings is here to help with everything from breezy maxi dresses and sundresses for outdoor daytime weddings, to formal gowns that won’t wilt in summer temperatures! Shopping sources in this post use affiliate links from retail partners and sponsors, which means we may earn a referral commission in the event that a qualified sale is made. With this shopping guide, finding wedding-appropriate summery styles should be a cinch! We’ve picked out stylish, light weight dresses that will stand up to summer temperatures, and have you looking lovely! The usual wedding attire guidelines stay about the same. Female summer wedding guests should wear lighter colors and more informal fabrics for daytime weddings; dress up a little more for evening weddings. Pick special occasion styles and formal lengths for black tie weddings. Maxi dresses, cocktail dresses, skirts with pretty tops, or jumpsuits can all be appropriate. Just remember not to wear white, or anything too ill-fitting or flashy. Men can opt for lighter color suits or blazers for daytime; darker suits for evening. These are our picks for summer wedding guest dresses up to date for the 2018 summer season. Links in italics and in the shop section are from affiliates and sponsors, meaning that this blog may earn a small referral commission at no cost to the purchaser, if a qualified sale is made. This Eliza J Halter Neck Ruffle Maxi Dress can go from daytime events to evening with just a change of accessories! A versatile style for summer wedding guests! Note: If you’ve reached this page from a Pinterest pin, and no longer see the dress on this page, it means it has gone out of stock with the retailer. We hope you’ll find another similar style to your liking! This post was originally created in 2015, and updated in the spring of 2018 with new dress picks!